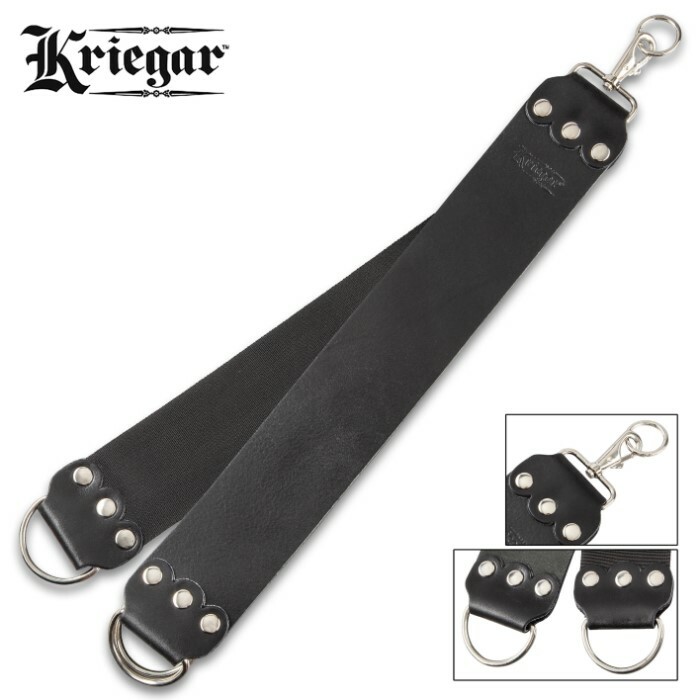 Kriegar 21” Razor Polishing Strop - Buffalo Leather, Polyester And Cotton Webbing, Steel Hanging Hook, Steel D-Rings - Width 3” | BUDK.com - Knives & Swords At The Lowest Prices! There’s no better way to keep your bladed tools in top condition than with our Kriegar 21” Razor Polishing Strop. Use it to polish the edges of your blades and smooth off any burrs left behind after you’ve sharpened them with a sharpening stone. 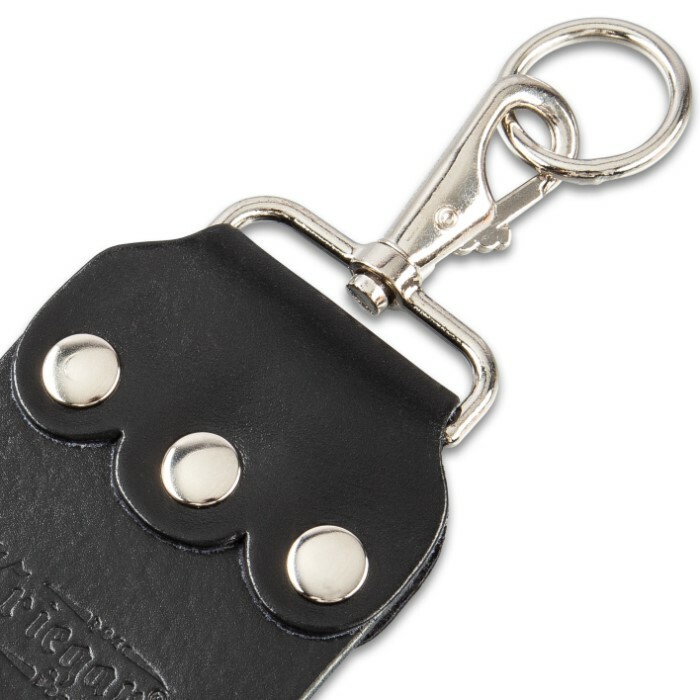 This two-piece strop is made of genuine buffalo leather, featuring both a flesh and grain side, and polyester and cotton webbing. 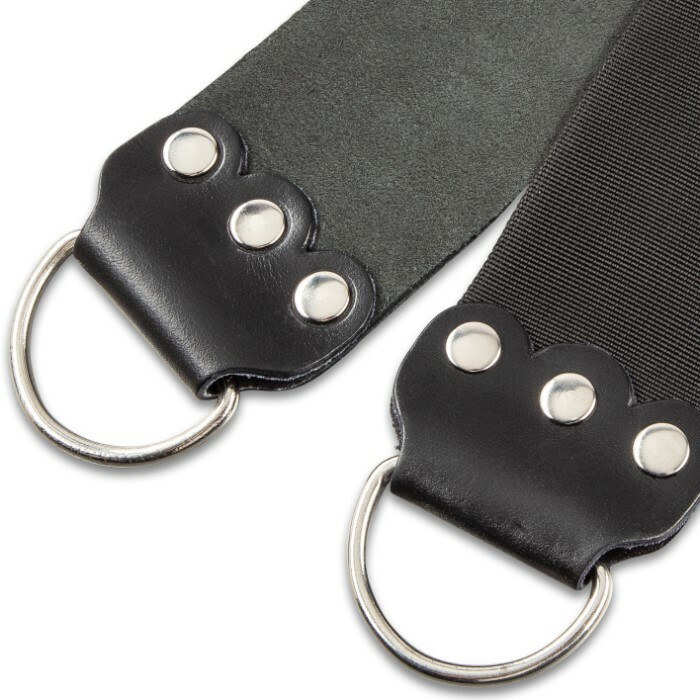 The 21”x 3” strop has steel D-rings and a steel swivel hook for convenient hanging.